Worldwide, adult and childhood obesity is at an all-time high. As a society, we have never been more in need of good advice about how to make healthier food choices. Set up three years ago, the Global Nutrition and Health Alliance (GNHA) aims to give just that. Drawing on cutting-edge research and hard scientific evidence, the group, including dietitian, author and broadcaster Nigel Denby, look to make nutrition advice accessible and easy to understand for industry professionals and consumers alike. Did you know that omega-3s are an essential part of a healthy diet? Probably. Do you know which foods are good sources of omega-3s? Maybe. Do you know how much of those foods you must eat each week to reach the recommended target of 1000 mg of omega-3s a day? Almost certainly not. In a recent survey, the Global Nutrition and Health Alliance (GNHA) found that 98% of people do not get enough omega-3s from their diet alone; but this is something, along with many other things, that they want to change. 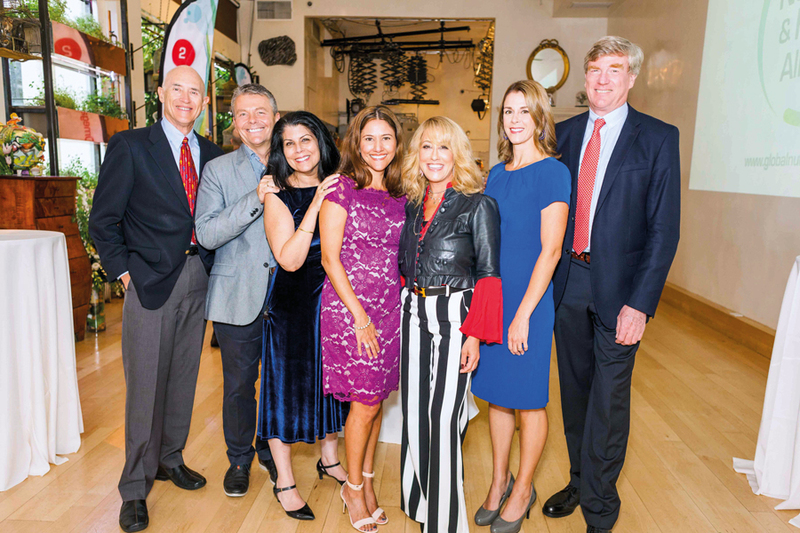 With a panel made up of scientists, doctors and nutritionists, the newly formed GNHA is drawing on a wealth of expertise and experience in its mission to educate the public and professionals about a healthy lifestyle through a good diet. In this interview with group member Nigel Denby, we found out more about how and why the Alliance came together, how they are reaching out to different communities and some of the dos and don’ts of diet supplements. Can you tell us more about the Global Nutrition and Health Alliance (GNHA) in terms of its background, history and mission? We are a group of health professionals, doctors and scientists – I am a dietitian – that have come together with a focus on educating consumers, colleagues and the media about optimal nutrition. Where necessary that may include the use of vitamins, minerals and other supplements as part of a healthy lifestyle. How did a group of leading health and medical experts come together and collaborate to form the Alliance? We met about three years ago, just to put our heads together and think about the problems facing western communities today. We are predominantly from Europe and North America. We wanted to share ideas on how we might be able to deliver messages and accurate information to our colleagues and consumers alike. Nigel Denby, RD, Co-founding Member of the GNHA and Head of Dietetics, Grub4Life.com, London, UK. Can you tell us a little bit more about your active role in GNHA? I am a dietitian working on a clinical level with adults who are looking to change their diets. I also work with children, advising childcare organisations on how to educate children about a healthy diet and also in many instances how to actually feed them. In the United Kingdom, for example, we have lots of legislation about how to feed children in mainstream schools in primary and secondary education, but only voluntary standards for the food that we serve to children in nursery (early years). I spend a lot of my time guiding childcare providers and parents on how to feed their children, another reason why the GNHA was such an appealing group for me. Our goal is to take good, accurate, robust evidence, and turn that into some meaningful messages that people can grab hold off and incorporate into their lifestyle. In addition, I am the founder of Grub4life, an online organisation which reaches out to childcare providers and vulnerable communities to help improve nutrition. GNHA is here to bridge the gap between academia, research, medical knowledge and then what people are doing at the grassroots level. GNHA Members Dr Regan Bailey and Dr Clemens von Schacky discuss findings of their recent study published in Nutrients with the media in New York City. What has been the primary focus for GNHA this year? We have been looking at omega-3s for the last couple of years. As a group, we knew from our either academic or clinical experience that there seemed to be a polarisation between the research and the understanding of the need for omega-3s and the incorporation of omega-3s into consumers’ diets. Initially, we looked at perceptions and understanding of omega-3s in consumer groups, and then last year our focus was on what that meant in terms of action, and how the omega-3 status compared with people’s understanding and knowledge. There seems to be a widespread understanding that omega-3s are an important part of a healthy, balanced diet and most people assumed that they were achieving that through their normal dietary choices. When we came to measure the levels of omega-3s in our study group, the vast majority, in fact, everybody who took part in the study, had omega-3 levels that were below the optimal range. That suggests to us that knowledge is not enough; either people are unclear about how to get that nutrient into their diet, or it could be that dietary sources are not perhaps as accurate or as rich in specific nutrients as we originally thought. When you look at something like omega-3, that could be for a whole load of reasons. Food tables which gave us the nutritional values of foods were set up back in the 1950s; so much has changed about the way we farm and produce food that is it possible that our fish, for instance, is not as rich in omega-3s as it was 50 years ago. Also, of course, oily fish, the best source of omega-3s, is an acquired taste and although it is one of the foods that we are constantly being encouraged to eat more of, large sections of the population just do not eat any fish at all. Staying with the example of omega-3, how does the Alliance educate consumers and healthcare professionals on achieving the daily recommended amounts? Our role is very much to, first of all, let everyone know that omega-3 is an essential nutrient. You can only get it from food. It is not something your body can produce itself. Some of the best sources of omega-3 are oily fish, nuts and seeds, avocados and foods that are specifically fortified in omega-3s like eggs and milk. Once people know that, they need to be able to quantify it. If they are eating one to two servings of fish a week, using seeds and nuts as snacks and having a couple of avocados in a salad over the week, they will be getting enough omega-3s. If they are worried that they are not going to manage that amount, then they might want to consider using a good quality omega-3 supplement as an insurance. What has been the overall reception from professionals and the public to the GNHA’s approach? I think it has very much been welcomed that GNHA is here to bridge the gap between academia, research, medical knowledge and then what people are doing at the grassroots level. The surprise though has been that despite so many public health messages, there is still confusion amongst consumers. We have had nothing but encouragement all the way. There is clearly a need for a group like GNHA to keep drip-feeding people information. Nigel Denby offers tips and information on how to get enough Omega-3 in your diet to ensure optimal health. Could you tell us a bit more about the role of supplementation and the importance of making informed decisions when choosing a supplement? The reality is that it is not always easy to consume enough of specific nutrients from diet alone. If you do not necessarily always eat your ‘five-a-day’ or the right amounts of oily fish on a regular basis, perhaps due to dietary preferences such as following a vegetarian lifestyle, then supplements can be an effective way to ensure optimal nutrition. In terms of what advice I would give, look for supplements that are additive free and are very specific about the source of their ingredients. Choose supplements and formulas that have been tested, manufacturers that use high-quality ingredients and search for a brand that is familiar and that you trust. Many products ‘chat’ about omega-3s on the front of their packaging for example, but you need to be fairly cautious. There are two types of omega-3s that are the particularly important ones to have: EPA and DHA. There are other omega-3s, but those are the two that are most beneficial to health and they are not always included in general omega-3 supplements. Our role is very much to let everyone know that omega-3 is an essential nutrient. Who are the other members of the panel at GNHA? From the United States, we have got Regan Bailey and Katherine Sherif who are both medics. In Germany, we have Professor Clemens von Schacky who is a cardiologist, and then we have some other experts from dietetics and food science industries. Members of the Global Nutrition and Health Alliance (GNHA), pictured from left to right: William S. Harris, PhD, FAHA, FNLA; Nigel Denby, RD; Katherine Sherif, MD; Alejandra A. Gratson, PhD; Suzanne Steinbaum, DO; Regan L Bailey, PhD, RD, MPH, CPH; Clemens von Schacky, MD. What does the future hold for GNHA and what plans do you have in mind? It always seems to be the situation that as you do one piece of research what you then discover raises more questions. An area that we are interested in right now is whether our food is as rich in nutrients as it was historically; have modern farming practices have had an impact on the nutritional quality of our food? We also want to be able to look at what factors are influencing how consumers are choosing their diet. How high on the list of priorities is health over things like speed, convenience, access and of course cooking knowledge? If you want to find out more about the GNHA, you can visit www.globalnutritionhealth.org/.